A new-generation physio- therapeutic apparatus which is practically an effective combination of several physiotherapeutic apparatuses in one. 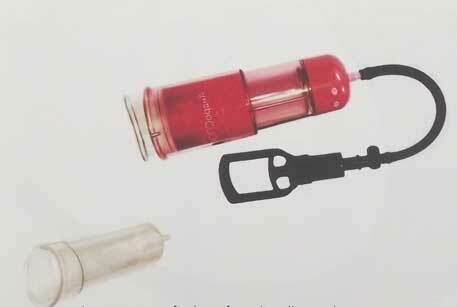 The apparatus is portable, easy-to-use, safe and secure. "DEVINTECH" is one of the leading companies in the market of physiotherapeutic technologies. The offices and production enterprises of the company are located in Germany, Russia, Belarus. 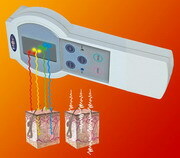 The brand "SPOK" has been widely known in the market of magnetic-therapeutic equipment since 1995. The company's strategic goal is creating advanced (leading-edge) and high-efficiency technologies of treatment and recovery using magnetic fields. Service The corporate guideline of "DEVINTECH" is a long-time partnership. This is why all the equipment supplied by the company is provided with Specialists of the service department are always ready to help. Our clients and partners become our friends and you can experience this yourself. "DEVINTECH" designs and manufactures magnetic action apparatus of the Spok series. These apparatus are widely used in various areas of therapeutics and restorative medicine. Besides the company specialists use a long-term experience with the SPOK apparatus to carry out individual projects of recreational technologies for spa resorts, recreational facilities, sports facilities, rest homes, health and rehabilitation centers adjusted for specific climatic, technological and technical features. SPOK apparatus are certified and registered on the territory of the Republic of Belarus, Russian Federation and may be use in medical practice. ditribution of the developed technologies. In order to achieve the started objects we attract leading specialists from various fields,use experience and material resources of leading enterprises and establishments,and carry out efficient patenting and licensing. preservation and increase of reproductive functions of the male and female population.